When moving into a smaller home, getting rid of all the unnecessary items is important. While packing your home, your garage may be the last room you will pack. But first, you may have to declutter the entire space before you can start. If you decide to reverse the packing process you may end up packing the rest of your home with more money in your wallet. Use our guide for cleaning out and packing your garage and relocate your entire home with ease. How to save money when packing your garage? Consider starting your packing process with your garage. That way you may save more money when moving. Our garage can be filled with the amount of stuff we don’t have time to go through or sort out. But when we have to relocate, the garage may become the priority. Cleaning out and packing your garage can be intimidating. However, the entire process will pay off in the long run after you save some money for other move-related expenses. 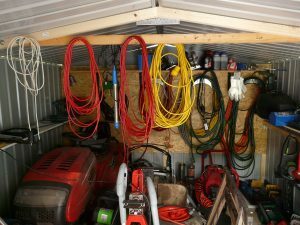 Garages may be full of landscaping equipment, tools, sports gear, old boxes, your car accessories etc. Basically, the garage may become the dumping ground over the years. On the other hand, that can be a good thing when the moving day is slowly approaching. With a little bit of decluttering you will be more relaxed and happy to pack the rest of your home belongings. This is how you start! The first step should be getting the four moving boxes or bigger plastic bins. Label the bins in four categories – toss, keep, donate and discard. After that, you are almost halfway through this annoying part of the cleaning process. While you sort out through your belongings, consider asking friends to help you. Put aside all of the bigger items you don’t wish to move. If you have training equipment move them a bit to the corner until you finish sorting out the rest. After you know which items you plan to keep, go through them one more time. Try not getting too emotional and keep the items you don’t really need and won’t use again. Check through everything and throw away the trash. Use new packing boxes and secure the bottoms before packing your tools. This part of the process will require planning on your part. Research online to find out the actual prices for the items you plan to sell. Selling items online may require a lot of time. However, you can sell all of your belongings in a garage sale. After you finish your research put ads for your upcoming garage sale. Make sure to organize your sale over the weekend. After you organize everything and reserve the date, put the price tag on each item. That way the garage sale will be much more organized and it will be easier for you. Keep in mind that the garage sale can be hectic. People will ask questions and negotiate. That is why you should have someone helping you. It will be much easier if you divide the work. One person can talk to the customers while the other can be the cashier. If there are some leftover items after the garage sale, consider donating them to a charity. Make sure to dispose of these items while decluttering. If you do, you will start cleaning and packing your garage having more free space. Consider hiring the waste removal service to dispose of these dangerous materials properly. Use your toolbox to pack your smaller tools. Packing your garage may be different than packing the rest of your home. 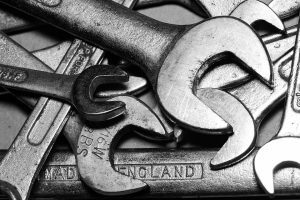 Packing the tools and equipment may require special attention. That is why you should make sure you have all the right packing materials. Best moving services in NYC may have the professional packing materials you will need when cleaning out and packing your garage. Make sure to use new and sturdy moving boxes when packing your garage. 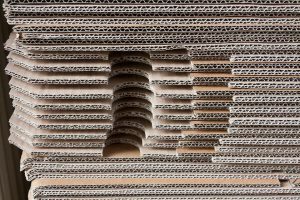 Professional movers will advise securing the bottom of each moving box with the several layers of packing tape. Some of the tools in your garage may be heavy and the packing tape will provide more security. In addition to moving boxes, consider using eco-bubble wrapping paper for protecting fragile and heavy items. You can use packing paper to wrap any item individually. Cleaning out and packing your garage – hacks! Use our garage packing hacks and finish the packing process with speed and efficiency. 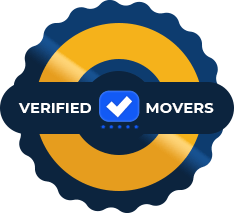 In case you are considering hiring professional help, make sure to ask multiple moving companies for the reliable moving quotes NYC. With few quotes in mind, you will be able to choose the best moving company that suits your needs. 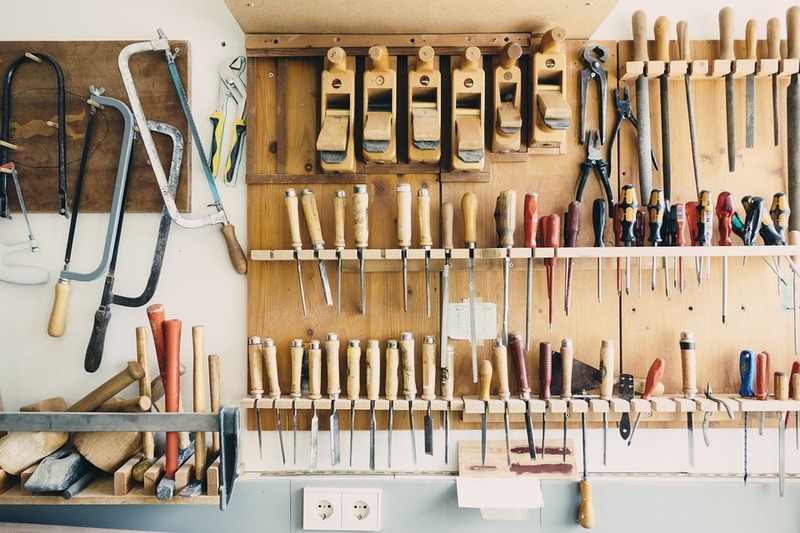 The best way to pack tools – use a toolbox and keep smaller hand tools in one place. If you have items with sharp blades, wrap them in a few layers of the eco-bubble. Wrap large garden tools together with tape and wrap them. Machines that use gas should be empty before you warp them and secure them for transport. Make sure to disassemble outdoor furniture before moving. Pack cushions in boxes and secure chairs and the table in protective materials to avoid damage. Consider giving away your plants or a grill that has a propane tank to your neighbors when cleaning out and packing your garage. Defrost and clean your fridge and your freezer the day before the move. Make sure to wrap them for protection when packing.